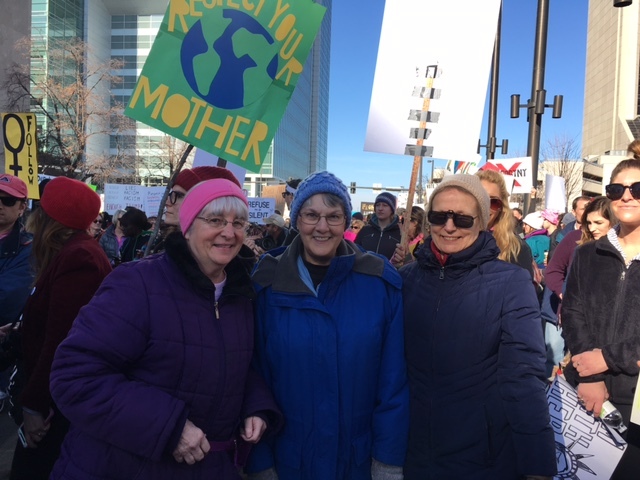 Here are some photos from the Omaha Women's March on Saturday, January 20th. There were 8,000 participants who attended. 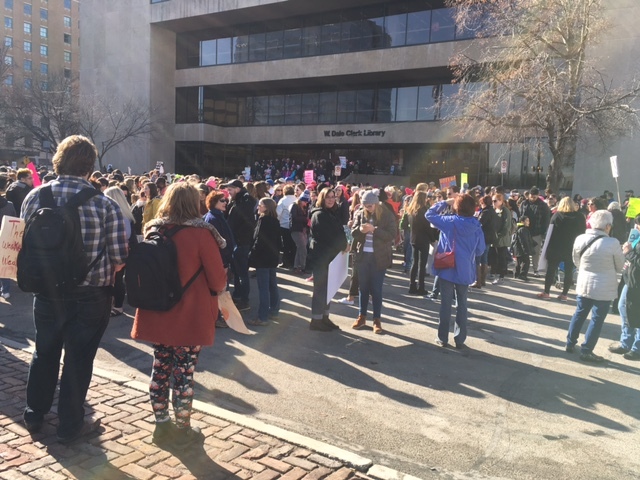 The march started on 14th Street between the Library and the Gene Leahey Mall. It was a great crowd, diverse and energized for change that benefits all members of our society. 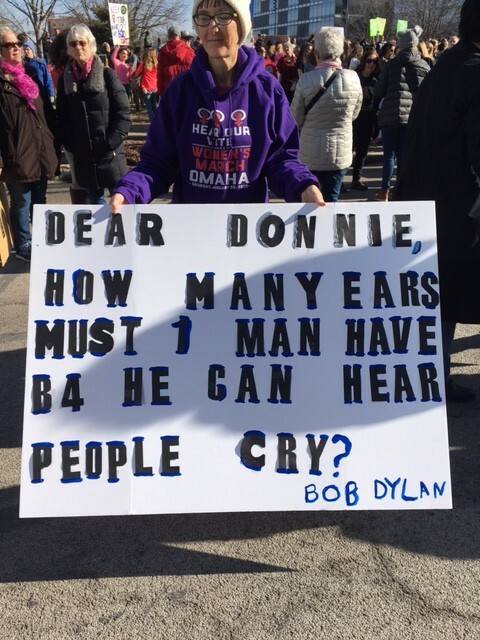 Speakers were inspiring, the walk was very doable, and the weather was delightful.